The hunt of a lifetime is at your fingertips. It's affordable for the average guy and gal and an experience you will never forget. The duck hunting season opens Sept. 1 And ends Dec. 16. It's mostly puddle ducks and geese during the early part of the season. 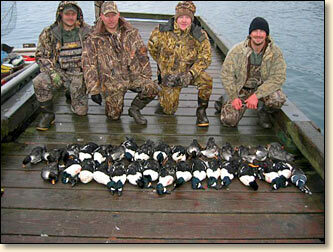 Seaduck hunting doesn't get started until the end of October, and gets better as the season progresses. Most of the birds are in full plumage by late October, when the first big flights of barrows goldeneyes arrive. 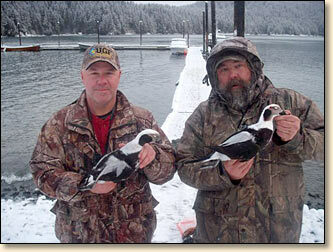 Let Seldovia Hunting Charters take you to the hottest hunting spots in the Kachemak Bay area. This area is a wingshooters and anglers paradise. We tailor your trip to fit you. 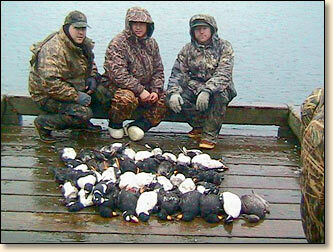 We can hunt puddle ducks, divers and seaducks. 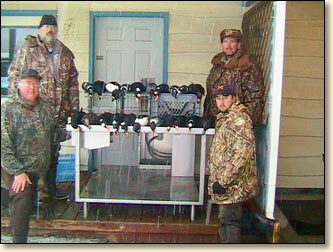 Hunt sea ducks and puddle ducks over decoys. 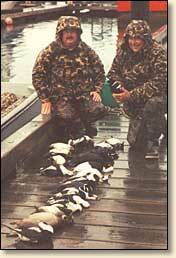 Large numbers of ducks raft in the Kachemak Bay area in the late fall and winter. You will hunt a different bay every day so one place never gets overhunted. The scenery and wildlife is magnificent. 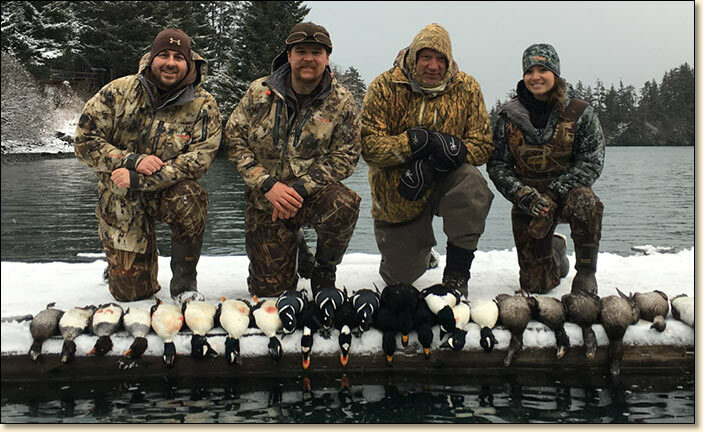 You will hunt harlequins, oldsquaws, white wing common and surf scoters, red breasted and common mergansers, barrows and common goldeneyes, greater scaup, along with mallards, pintails, gad walls, widgeon, teal, shovelers and buffleheads. You will either hunt from floating blinds or portable blinds on the beaches. Bag limits are a 20 seasonal limit for seaducks and 8 a day, 24 in possession for divers and puddlers.